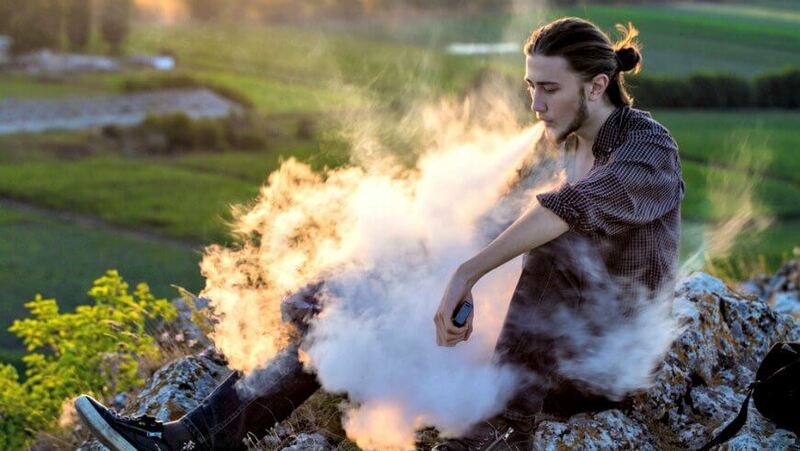 Vaping is going viral. Technology has allowed it to come on leaps and bounds in the past few years, and it's already helped millions of people give up smoking altogether. Bodies like Public Health England and the Scottish NHS actively support it as a healthier alternative to smoking, and more and more vapers are filling the streets by the day. If you're a smoker wanting to quit or are just curious about vaping then 2018 is probably the best time ever to get involved. We all know those people who smoke cigarettes reluctantly. Most have been smokers all their lives but they don't really enjoy it. It's their primary source of nicotine and, try as they might, they just can't give it up. They may have dabbled in vaping in the past or thought about taking the leap but haven't had the support or equipment they need to get started. 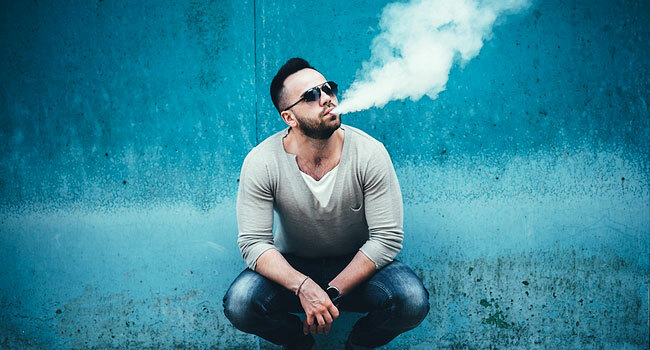 Of course, some vapers still enjoy nicotine, but the difference is that they can accurately control the amount of nicotine they're taking in depending on which e-juice they choose. This customisation is perfect for those looking to quit nicotine, as it offers full control instead of the 'all or none' process of smoking a cigarette. Nothing is more important in your vape kit today than the atomizer you choose. A few years ago, that may not have been the case, but recent advancements have made the atomizer a real game changer when it comes to tailoring your vaping experience. Where there was once a basic atomizer in every e-cig you picked up (which you probably never gave a second thought about), there are now countless atomizers on the market and for an aspiring modder it can be difficult to know where to begin. Atomizers have made the journey from being simple disposables to rebuildable mods to help you push the boundaries of what you can achieve. Whether you're new to the vaping game or have been vaping for a while but have some questions about rebuildable mods, here's what you need to know. Now that 2017 is drawing to a close, it's a good chance to look back across the year and see what's happened in the world of vaping. There's no doubt it's been monumental. We've had a landmark study from Public Health England which claims that vaping is 95% less harmful than tobacco. Despite vaping being banned in some public spaces around New York, it's still booming in popularity. And last but not least, cigarette sales are falling in key markets like the UK and US. This may not be good for the government's purse (think tobacco tax), but it's certainly good news for everyone else. It's largely down to smokers who want to become ex-smokers, and how vaping helps them achieve it. If you're currently hooked on cigarettes and think that, like thousands of others, you may be able cut them out of your life by vaping as a healthy alternative, where do you start? There a lots of do's and don'ts when it comes to using vape batteries, so much so that it can often be a bit overwhelming for newcomers to wrap their heads around. Depending on what kind of vaper you are, your kit will carry a lot of clout in terms of battery power, so it's a good idea to read up on the risks and benefits of different vape batteries before you invest. In many ways, vape batteries are at the very heart of your vaping experience, so they're a good thing to get right. What are vape mods and why are they so popular? If you keep up with current affairs you've probably heard a lot in the new recently about vaping. Some scientific bodies have claimed that it's 95% less harmful than tobacco and an excellent alternative to cigarettes. Others denounce vaping, with New York state going as far as banning it in public spaces. The truth is, vaping is a relatively new trend that we don't know too much about at the moment. Two things we do for sure are that, one - it's nowhere near as harmful as drinking or smoking and is FDA approved, and two - it's becoming extremely popular. One reason for that is modding. Whether you're an experienced vaper or a complete newbie, we've all been there at some point. You go to take a nice long draw from your favourite e-juice only for your vape tank to spitback at you. 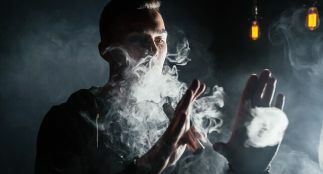 It isn't pleasant and it can happen often, particularly if you're a keen modder trying out different components to get the right 'balance' and find the perfect vaping experience. It happens when there's simply too much e-juice in the centre of your coil which can't be properly vaporised. Veterans know how to avoid this, but for those of you just starting out or looking for ways to curb sptitback, here are some things to bear in mind. According to those in the know, the UK quite far ahead of the US when it comes research and support of vaping as a viable alternative to smoking. Public Health England were one of the first reputable medical bodies in the world to come out and say that vaping was 95% less harmful than smoking cigarettes, and more smokers should make the switch. For the past several years, the UK has made October the month for kicking bad habits, and 'Stoptober' is a campaign to get smokers to give up. It has huge support across the country, from billboard advertising to television campaigns, and lots of people get on board.